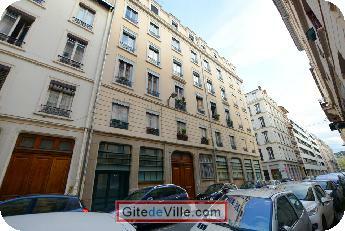 Self Catering Vacation Rental of 130 m² in Lyon for 6 peoples. A 130 sq.m. 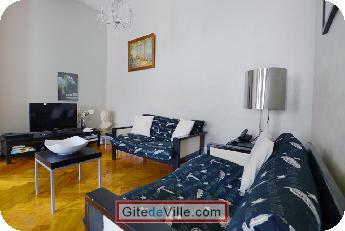 furnished apartment with 3 bedrooms. Living room: table, chairs, 2 armchairs. 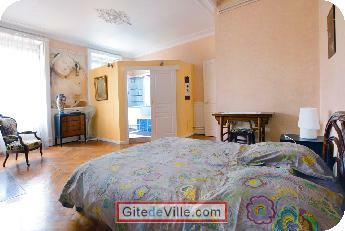 Bedroom 1: bed (160*200), desk and bathroom (bathtub, washbasin on cupboard). 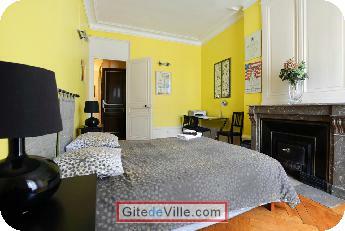 Bedroom 2: 2 single beds (80*200) or a double bed (160*200), desk. Bedroom 3: sofa (bedding 140*190), desk. 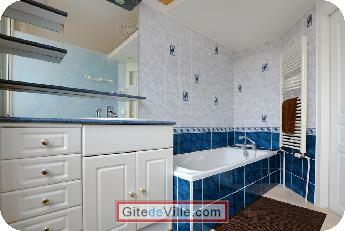 Bathroom: shower cubicle, washbasin, toilet. 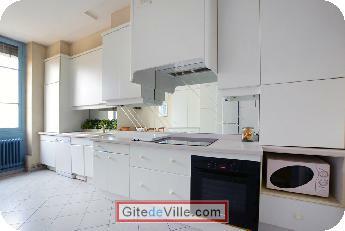 Equipments: dishwasher, washing machine, dryer, TV (French and foreign channel), Internet connection (DSL and Wi-Fi). On the 3rd floor with lift. At 350 meters from Lyon pay parking car park. 5 VELO'V stations within 300 meters.